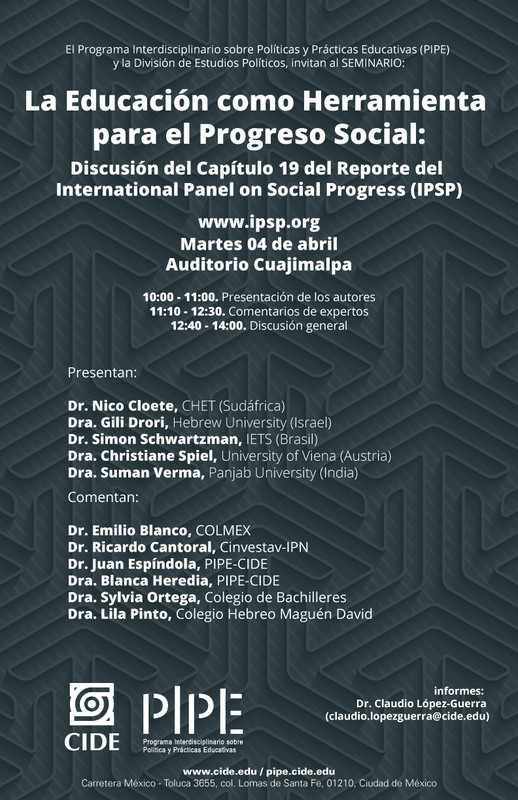 On April 3–4, five IPSP authors met to present and to discuss Chapter 19 of the IPSP report. They met at the Centro de Investigación y Docencia Económicas (CIDE), an IPSP partner organization in Mexico City, Mexico. On the 3rd, they discussed final revisions to the chapter, and on the 4th, several Mexican experts on education commented on the report in a public meeting. The authors were Christiane Spiel, Nico Cloete, Gili Drori, Simon Schwartzman, and Suman Verma.